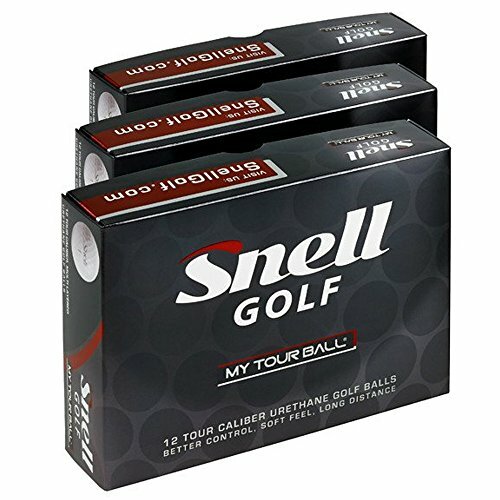 Snell Golf My Tour Golf Balls MY TOUR BALL is our 3-piece, tour caliber golf ball engineered to provide outstanding tee to green performance, with a mission to enhance scoring for golfers of all skill levels. The Core has been developed with a very low compression, soft feel, with high velocity to help with ball speed regardless of swing speed and creates low driver spin rates for longer distances. The Mantle layer works on longer shots to keep control of the spin, and works with the thin soft cast urethane cover on shorter irons and chip shots to create higher spin rates for better control into the green. The Cover layer is made of a thermoset cast urethane tour proven cover. This technology allows very thin covers for better short game spin control, and is very soft and durable.